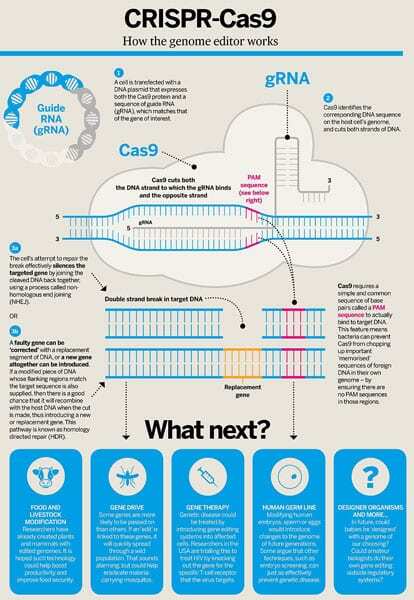 Should the Nonprofit Sector Cap the CRISPR Genie’s Bottle? This morning, in response to claims from Chinese scientists that CRISPR, the genetic editing tool, was used to alter a pair of twins’ DNA to make them more resistant to HIV, Kevin M. Esvelt penned an emergency call for an appropriate use of the nonprofit sector in protecting the public from what is essentially his invention—at least in part. Esvelt is an assistant professor and leader of the Sculpting Evolution group at the MIT Media Lab. He’s listed as an inventor on various patents concerning CRISPR-based technologies filed by MIT and Harvard University, including localized and self-propagating gene drive systems. So why do I oppose for-profit development and use of gene drive? I have nothing against capitalism that I don’t also hold against evolution. Capitalism is great for raising funds to launch risky ventures that wouldn’t otherwise be possible and, of course, at creating wealth more generally. If a for-profit company was to transparently disclose its intentions to edit the shared environment before starting research, commit to working closely with interested local communities, and generally ensure that people have a voice in decisions intended to affect them, I certainly wouldn’t have any ethical objections. But I do have a practical one. When people know you will benefit financially from a proposal, they’re less likely to trust your judgment. According to one recent study focused on biotechnology, support drops by more than 20 percent when people learn that a technology was developed by a for-profit company rather than a nonprofit one. NPQ has long promoted the notion that some realms of activity do not belong in the for-profit sector, and here is one more voice expressing why it is so critical that this sector understands its purpose in protecting the commons. While there are many apparent positive uses for this new technology, the capacity of corporations to weigh long-term effects for larger society against immediate extraction-based profits has never been more starkly in doubt. Broadway vs. Community Theatre: Is Battle over “Mockingbird” to Be Lee’s Legacy? Apparently, the ghost of Harper Lee is causing much angst for community theaters as they are threatened with legal action.